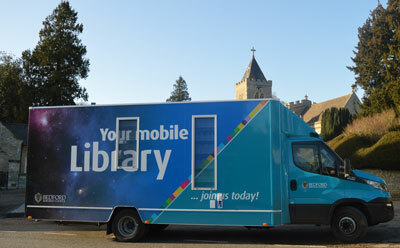 Bedford Borough has a mobile library and a Library Link vehicle, which visits those people who cannot come to a library. Register for Text Local to be informed if there are problems with the mobile library service. Download the form and hand it in on the mobile or in a library. The mobile library carries a variety of stock, takes reservations and joins new members.